There's tech in the works by the folks at Green Peak that could turn your battery-eating remote control into an energy-efficient device worthy of a true "green" environmental label. Couch potatoes rejoice! 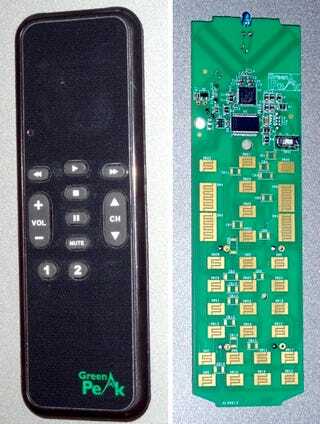 Better yet, in addition to having a power source that lasts the life of the device, the new radio technology powering these prototype remotes is also low-cost to boot. Oh, and the remote would have an increased range as well, making it effective up to 100 feet—even through walls. Triple threat! Contrary to popular belief, there are no magical gnomes hiding inside Green Peak's remote controls. Instead, inside the remote you'll find a pair of cheap lithium ion button batteries. Using these instead of AA or AAA batteries could go a long way toward eliminating some of the 8 billion batteries that head to landfills each year.